I often get asked do I wear hair extensions and to share with you some tips & tricks for successfully picking out the right set that will match your hair type/ colour and needs! The answer to your question is: I do occasionally wear hair extensions! In most of my outfit posts, I don't wear hair extensions, but you'll see me wearing them in some of my videos! When my hair has that extra boost of volume and body- then is when I'm wearing them! Despite the fact that I always ordered all my sets of hair extensions on-line, I always was able to pick just the right colour shade that blends in perfectly with my hair colour and therefor it's hard to tell when is it that it's not actually all my natural hair! And this is exactly the result we are going for when shopping for hair extensions: We want to get that natural looking, luscious, thick hair. We don't want it to be obvious that we're wearing the extensions! The trick of picking out the right set of hair extensions for you is to pick carefully the site/ store you're purchasing your extensions from: Make sure that they have good reputation and that they're selling high quality, real human hair (synthetic hair unfortunately will be too obvious to blend in with your natural hair, and also, not as long lasting). Also, you want to consult carefully the colour chart and pick the colour most similar to your hair colour. Sometimes it's hard not being able to see the actual hair before purchasing it, but if you have any doubts or concerns, make sure to contact the store's customer service, they should be ready to help you out with any issue you might have and help you out in picking the right colour for you. 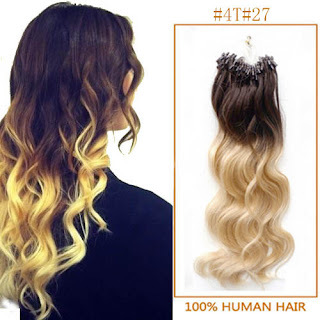 Lastly, if the extensions are made of a real human hair, you can always colour them to match your hair colour perfectly, or bring to your local hair salon, to have them done professionally. Also, some companies will send you a sample of your extensions with your order...in that case, you should first open up the sample, check if it's the right match for you. In case you aren't fully satisfied, you may return the package because you didn't even need to open the original package of your extensions to make sure if the colour matches- you were able to confirm that based on the sample that came with your order. If the sample matches perfectly, then you may proceed to opening your package and enjoy your new set of extensions! 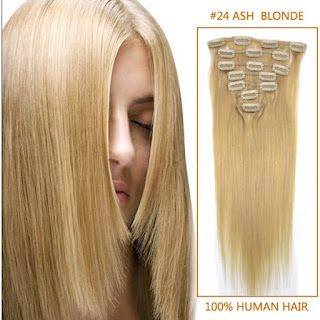 I'd like to recommend you the omgnb site where, among other things, you'll find a good selection of hair extensions at very competitive prices. Clip in hair extension, which is my favourite option, is so easy to wear, without too much of a hassle and without risk of damaging your natural hair. You can opt for different lengths and thickness, depending on your natural hair. They're super easy to place in your hair, and also super quick to remove! I opt for clip ins because I wear extensions only occasionally, as my hair is already naturally long. I like to wear them to add volume to my hair and to create different hair styles. They just give me more options on what can I do with my hair and allow me to be more creative with my hairstyles. Human hair ponytail is actually also a very cool option to consider, especially if you have shorter hair, and would like to see yourself with a long ponytail hairstyle from time to time! If your hair is short, adding long extensions may be too drastic of an option and they might not blend in that well with your short hair...but if you opt for a ponytail, it'll look way more natural! Also, it's super easy to place in your hair and to remove at the end of the day. In this case, I'd opt for this claw clip curly pony tail that will add volume and interest to your otherwise always the same hairstyle! Lastly, micro loop hair extension is a good option for anybody who wants a more permanent solution and can't be bothered having to deal with placing and removing the hair extensions on a daily basis. If you opt for this type of extensions, you'll probably need to take them to your hair dresser, to have them professionally placed in, or, if you know somebody skilled enough to help you out with that: even better! 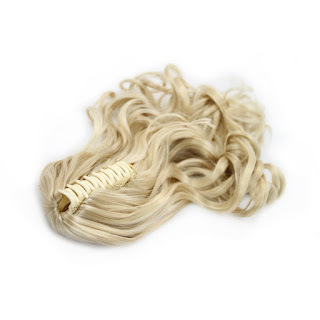 At omgnb web store you can find many more models, lengths and colours available, so make sure to check them out if you're on a market for a good quality set of hair extensions. I hope that my tips were helpful and that they'll help you in making out your mind and picking the right set of hair extensions for you!